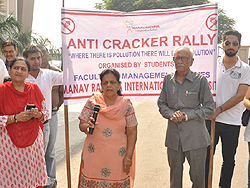 To initiate the ethos of sustainable development, anti-cracker rallies and nukkad nataks were organized across various parts of Faridabad and South Delhi. 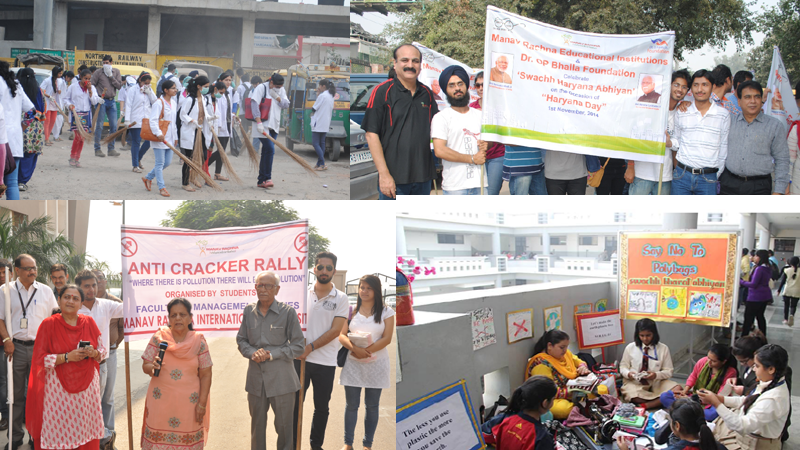 The Foundation has been dedicatedly supporting the ‘Swacchh Bharat Swasth Bharat Abhiyaan’ through a series of cleanliness drives and awareness campaigns across various places in Faridabad including Kodi Colony and Old Faridabad Railway Station among others. 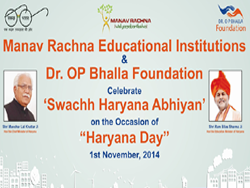 “Say No to Polythene”: Through the “Say No to Polythene” pledge taken on November 20, 2014, Deputy Commissioner, Faridabad, Shri Vijay Singh Dahiya declared Manav Rachna International University as the first University of Haryana to be polythene-free. 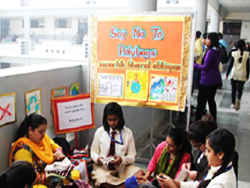 Students of Manav Rachna Institutions made creative carry bags with used old t-shirts. The bags were subsequently distributed amongst the people in order to spread awareness for the cause.